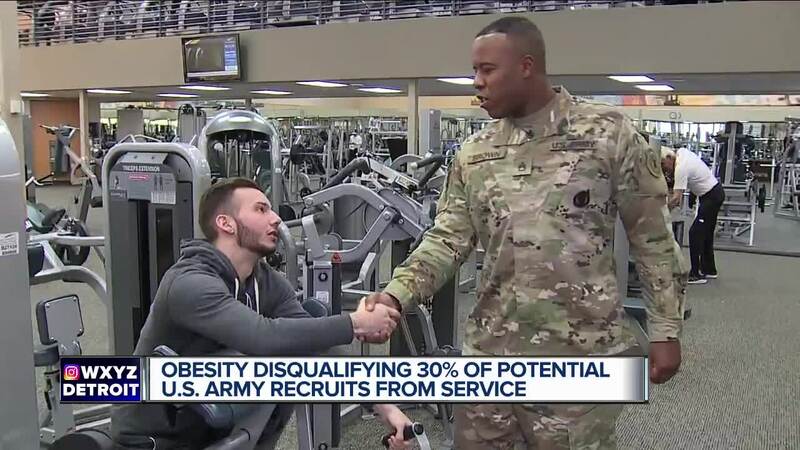 Army recruiters in metro Detroit say they've had to turn dozens of people away. Army recruiters in metro Detroit say they've had to turn dozens of young people away. They say many of them are disqualified because they're overweight. According to Council for a Strong America , in Michigan, more than 70 percent of young people ages 17-24 do not qualify for military service. More than 30 percent of them are disqualified because of obesity. The report says the Army fell short of its recruiting goal this year – the first time since 2005. Staff Sgt. Akeem Brown is a recruiter in metro Detroit and says it happens more than you think. 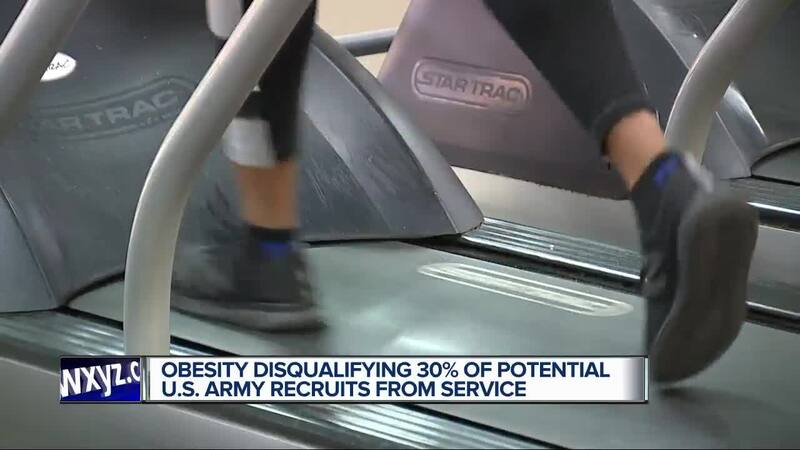 “We have a lot of people overweight, a lot of people think the military anyone can just come in and join, it’s their last option so they don’t really take care of their bodies,” Brown says. The growing epidemic has the army concerned. They want to get the word out because they need new recruits. Physical requirements are a must in the Army. “It’s definitely a lot. I would say just starting off first thing in the morning, we’re doing PT in the morning then, depending on a mission for the day, you’re doing some type of physical training, weather is involved, you need to be in shape,” Staff Sgt. Brown stressed. The study is calling on policymakers and parents to help reduce the obesity rate by encouraging healthy eating and activity. Staff Sgt. Brown says those who are interested in the Army can contact a recruiting office to sign-up for their Future Soldier Program that trains people who are entering the Army or are interested in joining. They train once a week.